Mark3-h5 and Mark3-h6 is a H-type replaceable arms design. 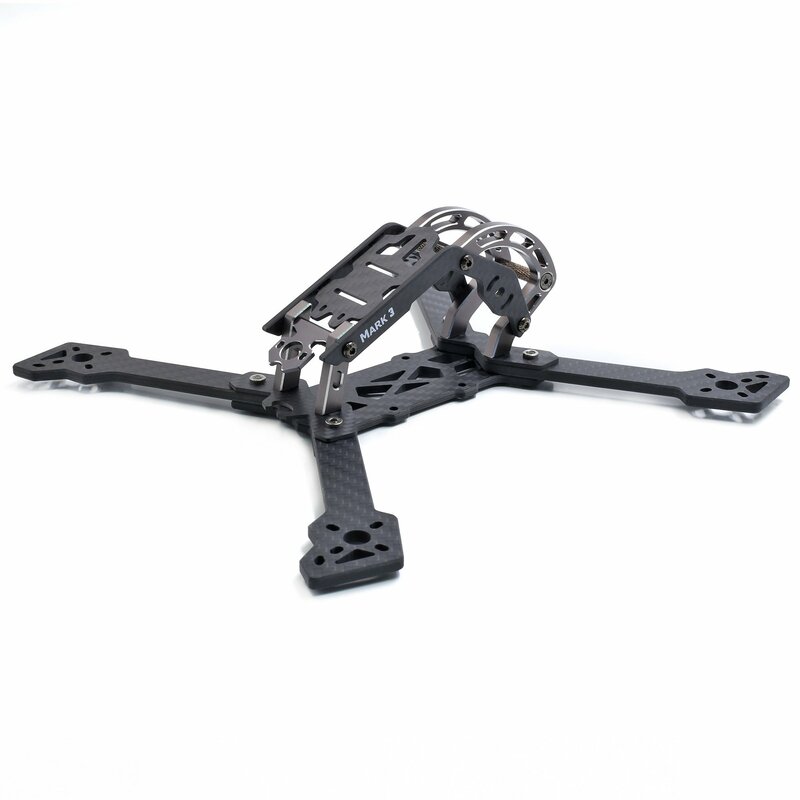 Mark3 is a comprehensive frame, which has three types of different arm structures, namely, whole unibody design true X-type,replaceable arms h-type and the latest replaceable arms HB (front stretch X and back true X).The new arm structure is a hybrid.The model, which can be controlled more accurately when turning rapidly, will have more advantages. The structural design of the fuselage USES a combination of carbon fiber plates and aluminum parts,which can act like a car hood flip (quick maintenance and replacement of equipment).The lens protection adopts 7075 aviation grade aluminum as the protection,installation size is 29*29. Position is more compact and the protection is more comprehensive.Movable 5.8g antenna is fixed and installed, which can be adjusted to the right Angle at will. The appearance design of the model, high precision carbon fiber CNC combined with 7075 grade aluminum, to build a durable structure.